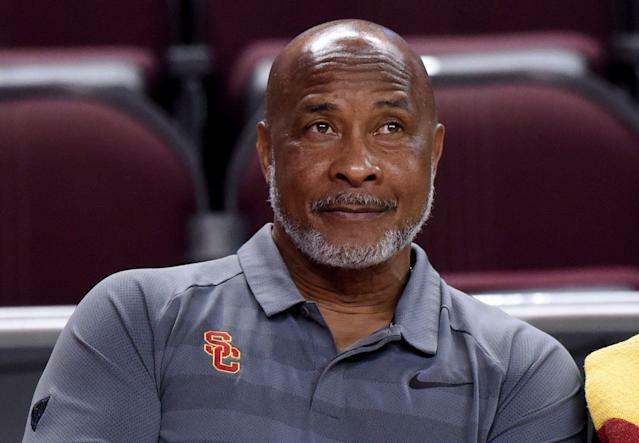 As a college admissions scandal rocks the University of Southern California, athletic director Lynn Swann wants everyone to know he had no idea what was going on. While the scandal hit many premier schools, none was hit harder than USC. Nearly half of the parents indicted were accused of bribing their children into USC. The school was also the only one to have an athletic administrator indicted in Donna Heinel, who faces racketeering conspiracy charges. Heinel is accused of using her power to designate more than 24 non-athletes as recruits, slipping them through the admissions process in exchange for bribes allegedly totaling more than $1.3 million. She and three other coaches implicated in the scandal have since been fired. Swann said Heinel was able to do this because she was the only one in the department in charge of submitting records to USC’s athletic admissions committee and receiving the decisions. Swann said he plans to change his department’s procedures in the wake of the scandal. To understand how turbulent Swann’s three-year tenure as USC athletic director has been, consider this column from Yahoo Sports’ Pete Thamel arguing that Swann deserves to be fired. Now consider that column was written nearly four months ago, and that it only pertains to Swann’s management of USC football. It does not mention this admissions scandal, nor did it mention the FBI investigation in which USC basketball is among the programs to have coaches arrested. Scandal has managed to even graze Swann itself, as it was alleged that Mossimo Giannulli, the fashion designer who is married to Lori Loughlin and among the indicted parents, traveled to Augusta, Ga. with USC’s athletic director. The affidavit does not specify if that director is Swann or his predecessor, Pat Haden. Both men are members of Augusta National Golf Club. When asked by the Times about that allegation, Swann said he had never met Giannulli. Even though he’s facing such turbulence, Swann told the Times he has no plans to resign. Of course, the heat facing Swann may change those plans in the future. At worst, he is complicit in an alleged crime for which dozens of people face serious jail time. At best, he was simply ignorant as scandal corrupted several corners of his athletic department. Neither is a good look.